The Annual Prime Minister’s Christmas celebration for children with special needs was held at a different venue this year, much to the delight of students and teachers as they got to experience Government House in a different light. On Monday December 10, 2018, His Excellency Sir Emmanuel Neville Cenac, Governor General of Saint Lucia, warmly opened up the Official Residence of the Governor General, Morne Fortune, where the event was held for the first time. And what a party it was. With more pristine grounds to utilize, as well as the interior of the house, organizers went all out in ensuring that the children had the best time ever. With fun and games, bouncy castles, Disney characters Mickey and Minnie, Santa, a photo booth by Wavemaker Photography, a movie-room and a grand Christmas tree for photo ops, the children and teachers who came from different parts of the island were treated as Christmas VIPs on the day. And yes, there were lots of eats and drinks too. While some of the children lounged under tents in the shaded spots, some took to making the area their dance floor, showing off their moves to the music from the DJ. The children and teachers also got to hang out the Governor General and Lady Cenac and with Prime Minister Hon. Allen Chastanet, his wife Mrs. Raquel Chastanet and son, Braden. The Minister for Infrastructure, Ports, Energy and Labour Hon. Stephenson King, who initiated the event as prime minister several years ago, also stopped by help give out gifts. The Prime Minister went on to thank all the teachers of special needs children in Saint Lucia, whom he said are true heroes, often going beyond their call of duty to ensure that the children are not only cared for but are safe. He also thanked the Governor General of Saint Lucia, for graciously opening up his residence and taking time out to interact with the children, teachers and volunteers as well. “My staff, the volunteers and all of those who contributed to this wonderful event here today deserve special mention and I would like to thank them all,” said the Prime Minister. 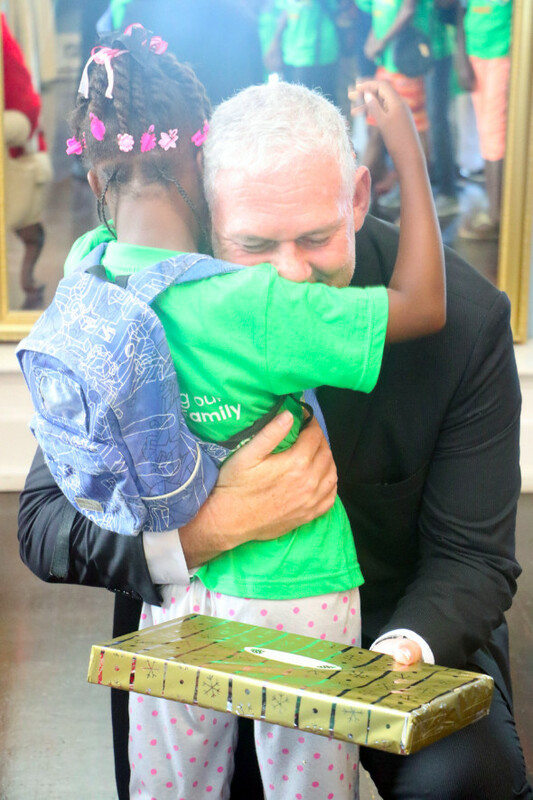 Before the event was over, all of the children were presented with their Christmas gifts. The hard working teachers were also recognized for their dedication and commitment to special needs. Through the support of Peter & Company Distribution’s brand Manager Germaine Serieux, all of the teachers received tokens of appreciation on the day. The Office of the Prime Minister thanks the Embassy of the Republic of China (Taiwan), Ferrands Dairy, Peter and Company, OJO Labs, Wavemaker Photography, Brice and Company Ltd , Mr. Christopher Mitchell and The Embassy of Morocco for helping to make the event a success.